Maurice Beatson can’t complain about his team as he heads to the business end of the season. 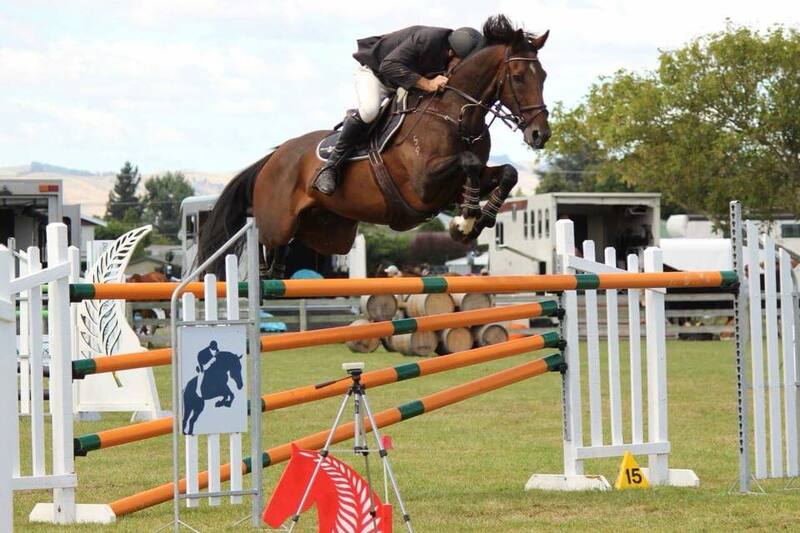 Yesterday at the Masterton A&P Show, he and Mandalay Cove notched their third win from four starts in the Dunstan Horsefeeds and EquiFibre Horse Grand Prix. “It’s not too bad really,” says the Dannevirke Olympian. He had three on the 19-strong card for the class, with two going through to the jump-off where he and Mandalay were double clear in 52.84 seconds. Second-placed Tim Myers (Patea) and Surreal gave it their all, clocking the fastest time of the four in the jump-off with their 44.77 second effort, but had the second to last fence down. Theirs was the fastest time by nearly six seconds. Beatson got up for third aboard his partner Sally Clark’s horse Argio with four faults in 55.43 seconds, with Simon Wilson (Waipukurau) on McMillans Ariados fourth. Ten-year-old Mandalay Cove is number one at the Beatson stables, becoming more consistent as he gains more experience. Argio was perhaps a little lucky to make it through the first round after knocking a rail very hard in the combination, only to have it settle back in the cups. Beatson took over the ride on the thoroughbred in December. 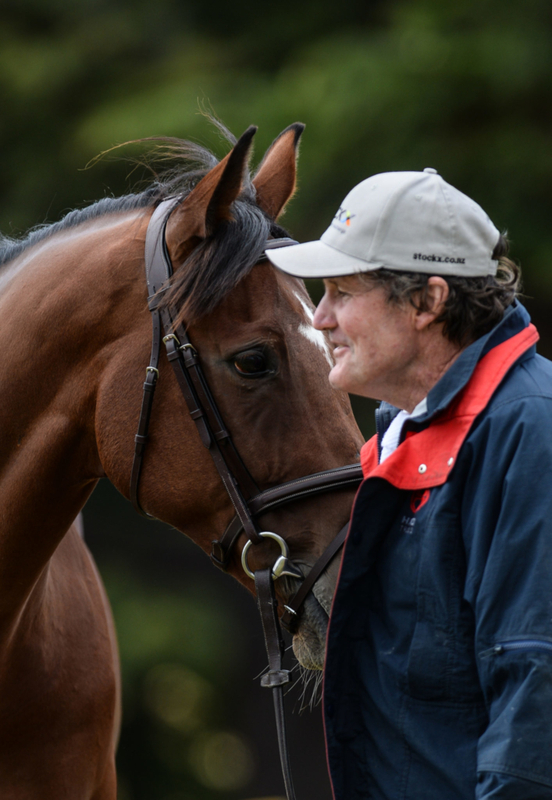 Clark bought him as a youngster from Harvey Wilson and brought through the grades to success at 1.3m but seeing a bigger future for him, passed the reins of the eight-year-old to Beatson. Eleven started the Country TV Pony Grand Prix, with three coming through for a very closely-fought jump-off. Winner Georgia Percy (Wairarapa) and Surprise Illusion were double clear in 44.09 seconds with second and third placed Phoebe Burns (Hastings) aboard Galaxy Masterpiece and Olivia Apatu (Waipukurau) on Alasaan Arzu taking a rail apiece in 44.67 and 45.13 respectively. The three day show was held at the Solway Showgrounds in Masterton. Dunstan Horsefeeds and EquiFibre Horse Grand Prix: Maurice Beatson (Dannevirke) Mandalay Cove 1, Tim Myers (Patea) Surreal 2, Maurice Beatson (Dannevirke) Argio 3, Simon Wilson (Waipukurau) McMillans Ariados 4, Matt Irvine (Takapau) Wall Street III 5, Kimberley Winks (Oakura) Damiana 6. Country TV Pony Grand Prix: Georgia Percy (Wairarapa) Surprise Illusion 1, Phoebe Burns (Hastings) Galaxy Masterpiece 2, Olivia Apatu (Waipukurau) Alasaan Arzu 3, Lucy Buchanan (Havelock North) Redcliffs Colour Me Quick 4, Luke Myers (Marton) Te Urewera Magic 5, Lily Moore (Hastings) Showtym Highlight 6. Mitavite Six-Year-Old Series: Lucy Fell (Longburn) Big & Rich, Heloise Tolo (Wellington) Can’t Touch This NZPH, Jesse Linton (Hastings) Caption NZPH, Dirk Waldin (Havelock North) Good Time, Georgia Massie (Dannevirke) Double J Beyonce, Ashley Hart (Hastings) Kiwi Cheroso, Simon Wilson (Waipukurau) McMillans Whimsical WDS, Harvey Nelson (Havelock North) Ngahiwi Loone and Jesse Linton (Hastings) Vitess =1. East Coast Performance Horses Five-Year-Old Series: Sally Clark (Dannevirke) Sun Flake, Kim Best (Otane) LT Holst Teacher’s Pet, Ashley Hart (Hastings) Kiwi Centrokee, Jesse Linton (Hastings) Expozay, Heloise Tolo (Wellington) Dangermouse NZPH and Alex Loiselle (Ocean Beach) Dakota NZPH =1. Dunstan Horsefeeds and EquiFibre Pro Am Series: Emily Fraser (Palmerston North) Kiwi Sunray 1, Kimberley Winks (Oakura) Damiana 2, Laura Knight (Palmerston North) Aria 3, Louise Bowie (Pahiatua) Kiwi Hammer 4, Sally Clark (Dannevirke) Victoria’s Secret 5, Desiree Foxley (Hastings) Johnny Dodge 6. Dunstan Horsefeeds and EquiFibre Junior Rider Series: Molly Goodisson (Havelock North) Darkages 1, Samantha Carrington (Takapau) Double J Breeze On 2, Kelly Smith (Foxton) Corlinka 3, Ike Baker (Wellington) Vidal NZPH 4, Sarah McKinnon (Wairoa) Matilda II 5, Sinead Dolman (Gisborne) Kiwi Lansing 6. Caledonian Holdings Amateur Rider Series: Anna Stephen (Masterton) Lollipops SP 1, Nigel Horton (Palmerston North) Heisenberg 2, Kaleigh Kent (Otane) Double J Sponge Bob Square Pants 3, Noni Morgan (Hastings) Secret Keeper 4, Cindy Dames (Hastings) Chimney Creek 5, Tasha Brown (Whakatane) Beaujolais 6.